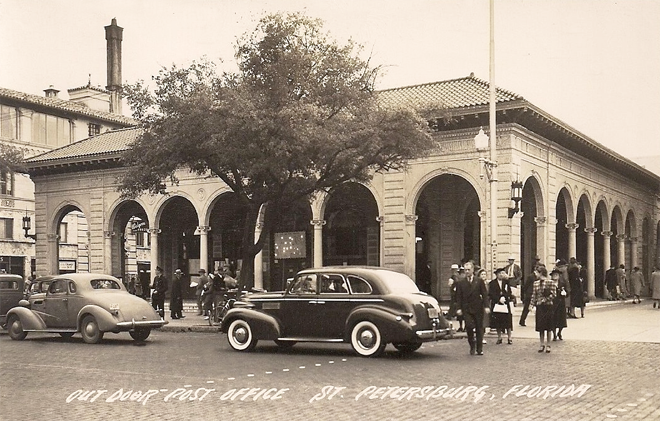 Black & white card by H.S. 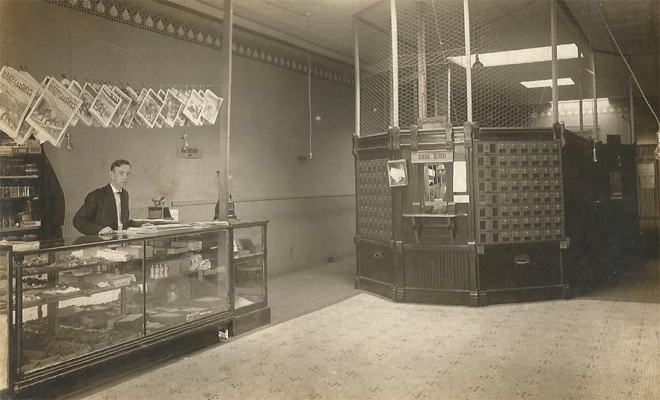 Hutchinson & Co.
Newsstand and caged post mistress in New Market, Iowa. 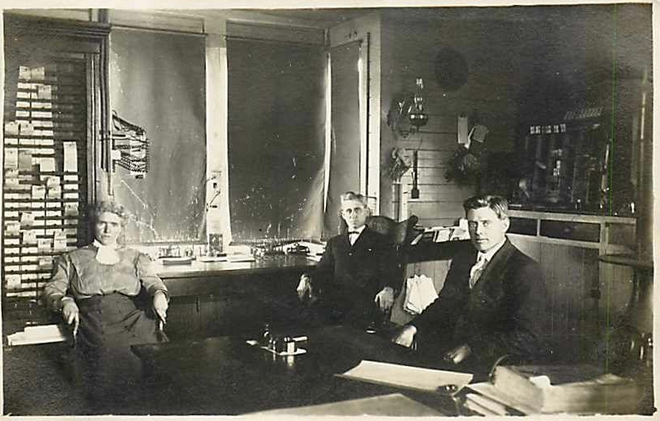 Shades down in Riverside, Iowa. 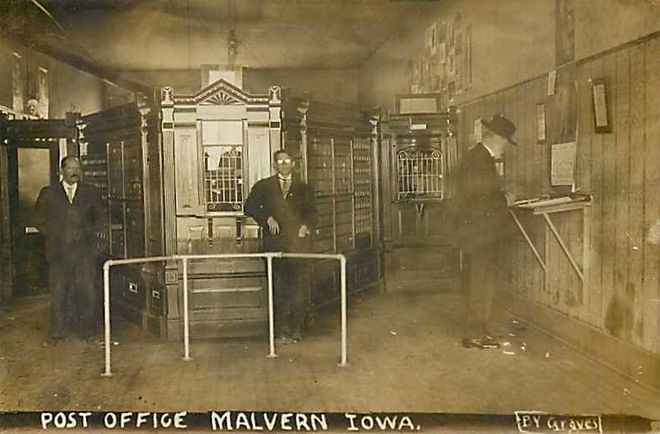 Not exactly welcoming, in Malvern, Iowa. 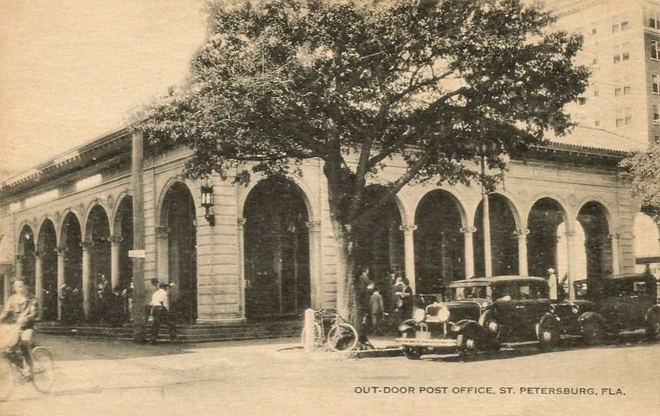 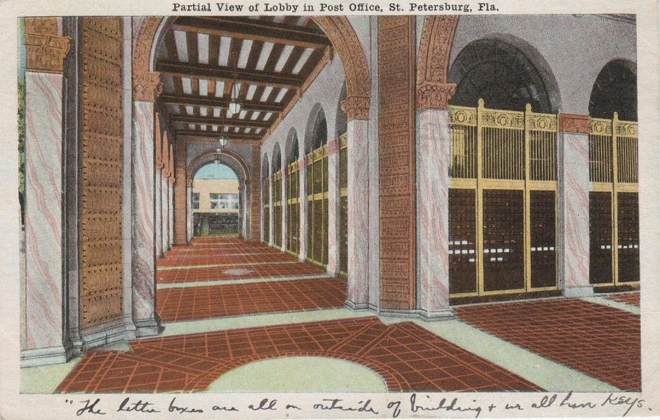 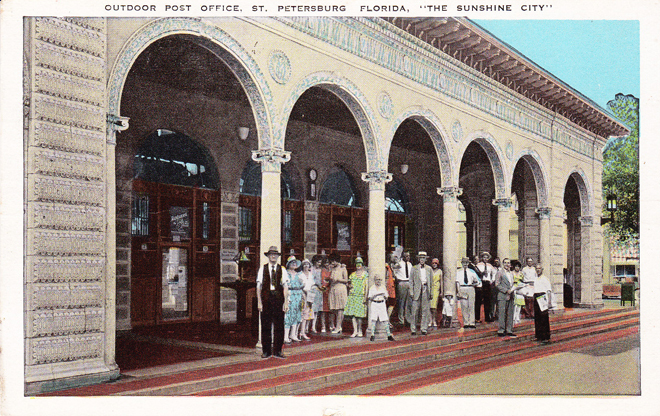 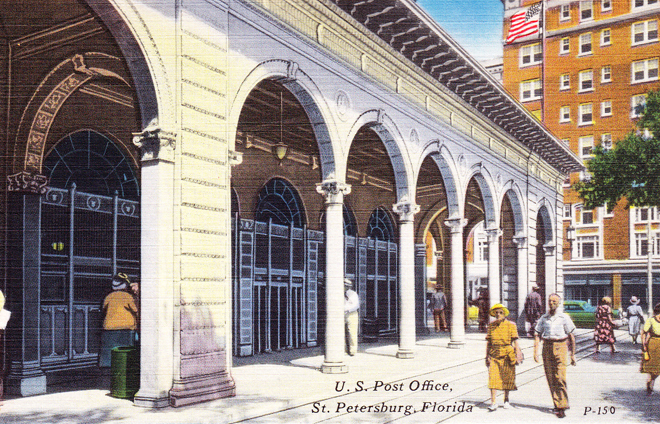 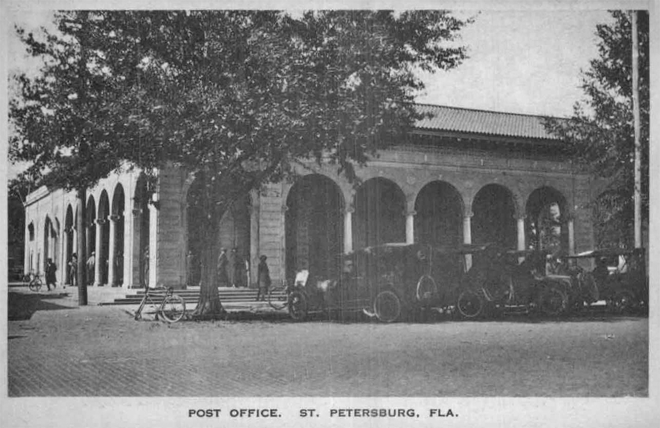 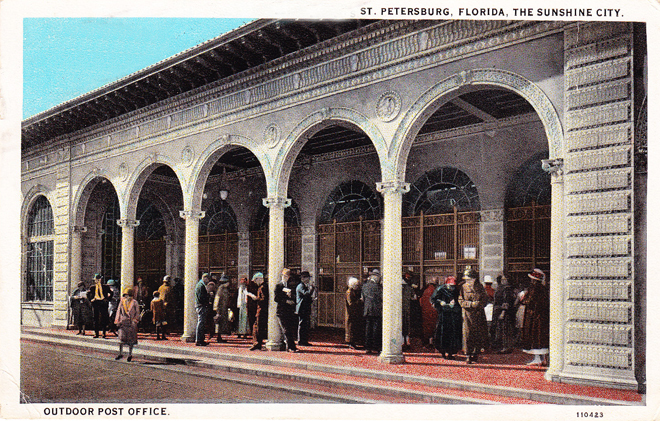 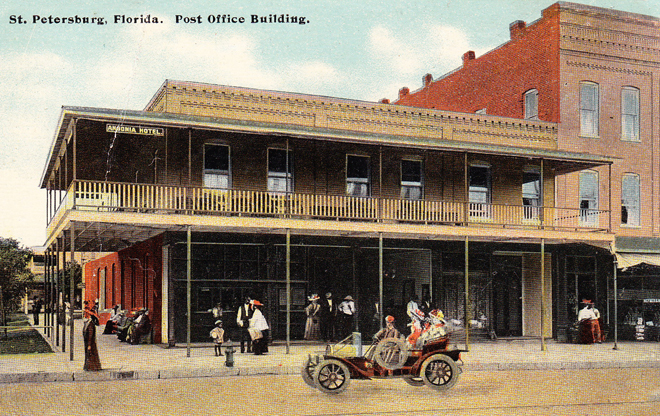 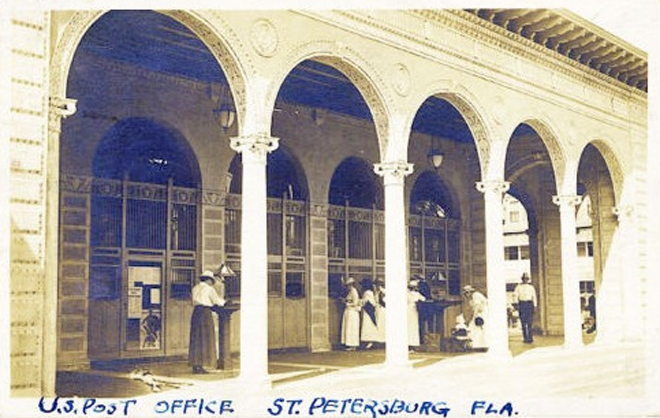 The outdoor post office in St. Petersburg, Florida, taking advantage of the mild climate. 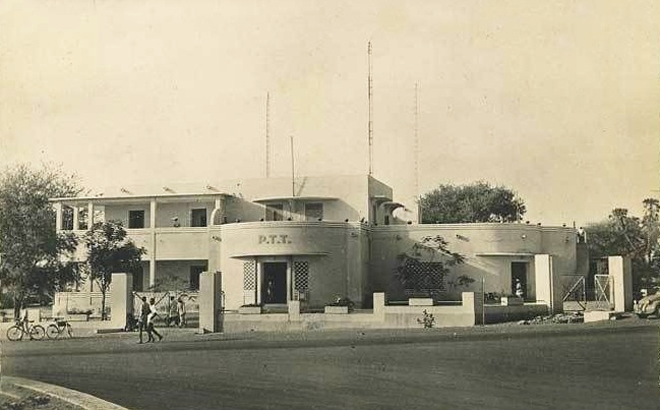 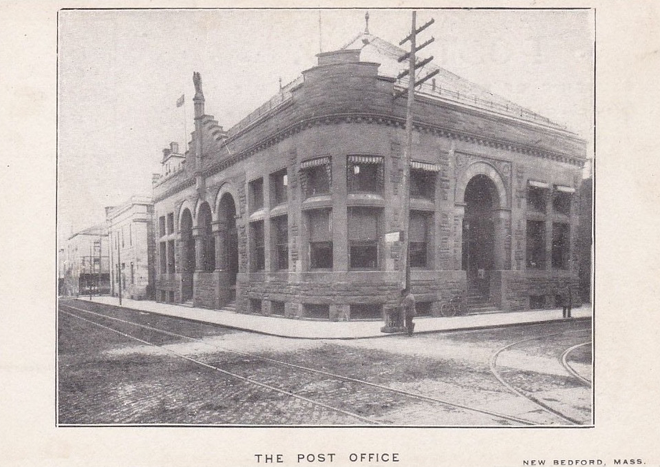 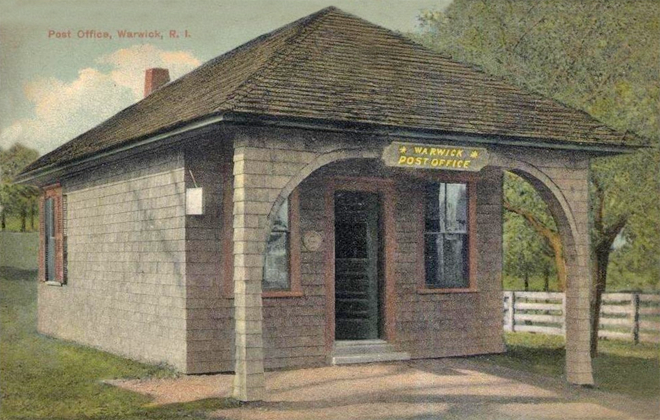 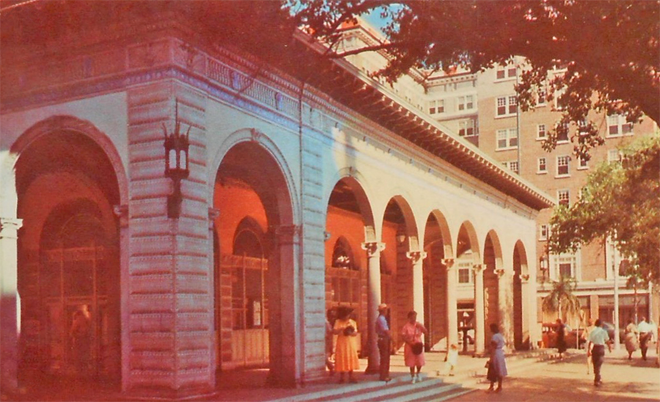 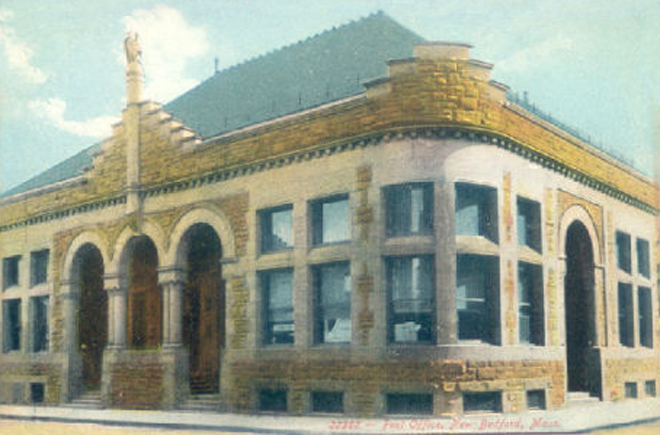 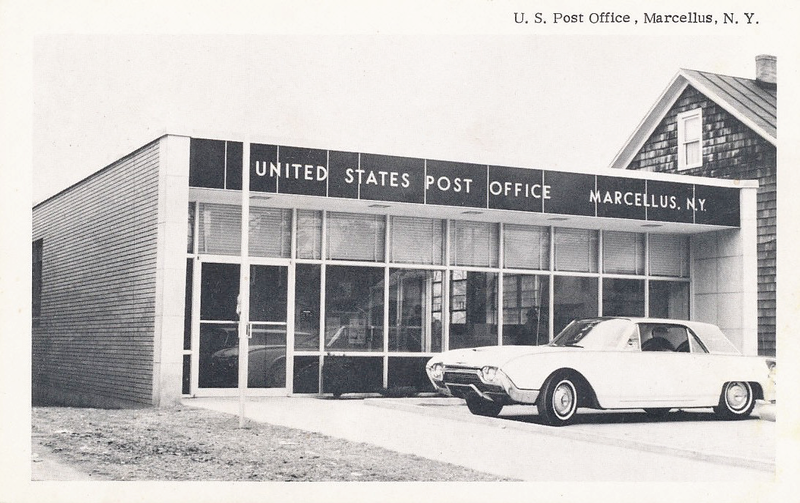 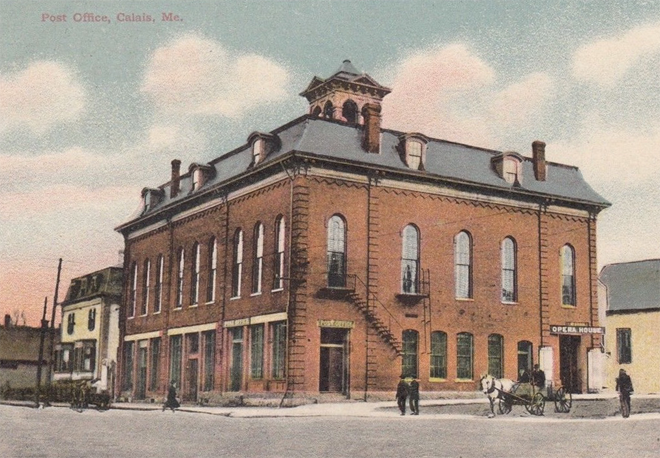 And below, an earlier “outdoor” post office.